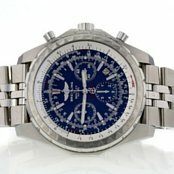 Breitling is one of the world’s top watch manufacturers and one of the most unique watches it has produced is the Breitling Emergency. This watch is not only beautifully designed, but it has a number of tools that can help you during a real life emergency. If you are thinking about selling a Breitling Emergency, you will want to be sure that you get a fair market price for it. 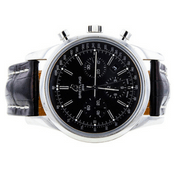 At Worthy, you can sell your watch online and we will take care of the evaluation and any related auction preparation. We also find the right buyers on your behalf so you do not have to do any tedious work on your own. 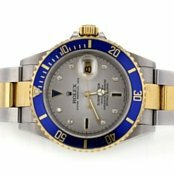 Worthy is an industry-leading expert in online jewelry auctions and we look forward to serving you when selling your Breitling Emergency. When you sell Breitling Emergency online at Worthy, you will always be able to check the status of your item throughout the entire process. 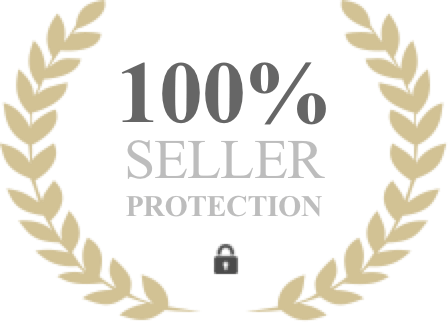 Ours is a name you can trust as we offer all the credibility, transparency and security you expect from a high-end online auction platform. Don't believe us? 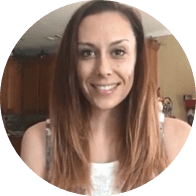 See what Worthy clients have to say here. The Breitling Emergency watch is not just a beautifully-designed accessory; it is also a complete gadget that can help you if you to be rescued. Breitling is a Swiss luxury watchmaker that is known for creating technical watches for aviators, military personnel and active people all across the globe. The newly updated version of the Breitling Emergency watch was released in 2013 and is called the Emergency II. This watch has a miniaturized emergency beacon and other tools that can help you if you are stranded. The original Emergency watch was a unique looking timepiece that was released in the 1990s. This watch had a capsule that contained an antenna which automatically transmitted a signal to the emergency frequency channel. The range of this was about 100 miles and was meant to only be used in emergency situations as this frequency is monitored by search and rescue groups. In 2009, search and rescue authorities stopped using this frequency and moved to a different frequency for emergency beacon signals. The reason for this change is that the original signal had a limited range and the new frequency can also be picked up by low orbiting satellites. The Emergency II has been updated for this change and now has a range significantly greater than 100 miles. The Breitling Emergency II still transmits the original signal as it is still monitored and it is the first watch to have this dual emergency frequency technology. Every Breitling Emergency II watch comes with a smart charging base. The base charges the beacon battery and also performs a systems check to see if the emergency beacon system is functioning properly. The watch movement uses a separate battery to operate and the new system is more robust than the original Breitling Emergency watch system. The Emergency II system allows search and rescue crews to find you no matter where you are in the world. Breitling had a policy with the original Emergency watch that if it were used in an emergency it would be replaced for free. This policy also extends to the Emergency II watch as replacement is necessary because the antenna system is designed for one-time use. The new technology of the Breitling Emergency II makes it a must-have for anyone that is traveling to remote places and might need a search and rescue team. This watch is made out of titanium but it is fairly lightweight. This watch is designed to be an instrument for serious professionals that may be in high risk situations – it is a reliable and well-designed watch for emergency situations. 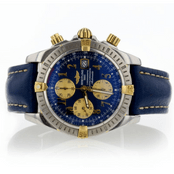 Ready to Sell Your Breitling Emergency? Whatever your reasons for wanting to sell a Breitling Emergency watch, you have carte blanche to contact Worthy at your leisure. You can count on our discretion and we will offer you the highest levels of professionalism and customer support. 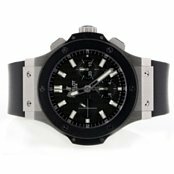 Our partners will evaluate your watch at the best possible market price based on similar items from our auction platform. The evaluation is a complimentary value-added service offered to you by Worthy. 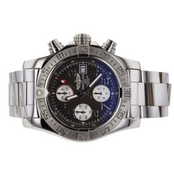 Once we have determined the fair market reserve price, your Breitling Emergency watch will be placed on auction and you will be able to track all bids on your item. Once the auction has closed and you sign the sale ticket, your money will be transferred to you safely and securely. The Worthy promise is one that you can bank on. Get started or learn more!